Assessment Essay (Page 1 of 2) The essay on this page addresses systems for assessment (diagnostic, formative, summative, performance), and more on self-assessment, teacher-made tests, and vendor-made tests. Tips for a policy on "redos" of assessments are included. Assessment is more than collecting data on test performance. Anne Davies (2004) indicated that assessment is a process of triangulation or gathering evidence over time that agreed-upon criteria have been met from multiple sources: artifacts that students produce, observation notes on the process of students' learning, and documentation from talking with students about their learning. Assessment includes guiding students to self-assess their learning, involving parents and students in discussions of progress, and students showing evidence of their learning to audiences they care about. It is a complex process because of differences in learning styles, multiple intelligences, and the diverse backgrounds that students bring to classrooms (Davies, 2004). Davies (2004) stated key tenets on the role of assessment, which illustrate the partnership that should exist between teaching and learning. "Keeping students informed about the learning objectives or standards they are working toward helps support their success. Quality and success also become clearer for students when we engage them in setting criteria" (p. 2). "Plot/locate points on a graph"
"Represent math relationships in words, pictures, or symbols"
"Explain the meaning of a concept using words, objects, and/or visuals"
Complete "Complex calculation tasks involving decision points (e.g., standard deviation)"
"Conduct measurement or observational tasks that involve organizing the data collected into basic presentation forms such as a table, graph, Venn diagram, etc." (p. 11). "Create complex graphs or databases where reasoning and approach to data organization is not obvious"
"Explain and apply abstract terms and concepts to real-world situations"
"Design, conduct, or critique an investigation to answer a research question"
"Propose an alternate solution to a problem studied" (pp. 14-15). "Relate mathematical or scientific concepts to other content areas, other domains, or other concepts"
"Conduct a project that specifies a problem, identities solution paths, solves the problem, and reports results"
"Design a mathematical model to inform and solve a practical or abstract situation" (p. 21). Methods include case studies, collaborative/group projects, direct observation, essays, exams (unseen and seen/open-book), multiple choice tests, oral questioning after observation, performance projects, portfolios, practical projects, presentations, problem sheets, self-assessment, simulations (forms of games), and oral exams. With the current focus on assessment using standardized testing, educators might have overlooked the value of performance assessments, which also provide evidence of what students can do. Such evidence of student artifacts gathered over time, as Davies (2004) noted, is clearly evident in Edutopia's video: Assessment Overview: Beyond Standardized Testing. It will definitely give you ideas for your own classroom. The following sections address systems for assessment (diagnostic, formative, summative), more on self-assessment, teacher-made tests, and vendor-made tests. There are two kinds of tests that may or may not help a teacher to do a better instructional job: teacher-made classroom tests and externally imposed tests, which are "those tests required by state or district authorities and designed by professional test developers to measure student mastery of the sets of objectives experts have deemed essential" (Popham, 2003, Preface section). The accountability movement has placed a great deal of stress upon teachers to prepare students for state standardized tests and even greater stress upon students to perform well on those tests, which were mandated by the No Child Left Behind legislation, and which continue under provisions of the Every Student Succeeds Act. Assessments for math students are mandated for grades 3-8 and once in grades 9-12 (Moran, 2015; 114th Congress, 2015). Performance assessments/tasks are being developed as part of the implementation of the Common Core State Standards. To this end, W. James Popham (2007b) suggested that schools also need interim tests that they "can administer every few months to predict students' performances on upcoming accountability tests" (p. 80). Valid, reliable, and supported by professional, scientific, and ethical standards designed to fairly assess the unique and diverse abilities and knowledge base of all students (para. 9). What does balanced mean? A balanced assessment system combines formative, interim, and summative assessments and is often associated with a combination of classroom assessments, interim assessments, and large-scale assessments. A caveat to Popham's (2007b) statement is that interim assessments are "supported neither by research evidence nor by societal demand" (Popham, 2011, p. 15). The problem with their use is a potential unwanted or undesirable level of regimentation to instruction. For results of interim tests to be useful, "the timing of a teacher's instruction must mesh with what's covered in a given interim test" (p. 15). Paul Black and Dylan Wiliam (1998) stated from the TIMSS video study, "A focus on standards and accountability that ignores the processes of teaching and learning in classrooms will not provide the direction that teachers need in their quest to improve" (para. 2). Those processes involve teachers making assessment decisions, which Popham (2003) indicated can be made based on the structure of the tests themselves or on students' performance on those tests. Teachers can make decisions about the nature and purpose of the curriculum, about students' prior knowledge, about how long to teach something, and about the effectiveness of instruction (Chapter 1, What Sorts of Teaching Decisions Can Tests Help? section). Sometimes state and district content standards are not worded clearly enough for use at the classroom level and lead to possible multiple interpretations. Hence, Popham (2003, Chapter 1) pointed out the need for teachers to examine test sample items to clarify the intent of a particular curricular goal. They can then focus instruction appropriately on that intent. Use summative assessments to frame meaningful performance goals. ... To avoid the danger of viewing the standards and benchmarks as inert content to “cover,” educators should frame the standards and benchmarks in terms of desired performances and ensure that the performances are as authentic as possible. Present those tasks at the beginning of a new unit. Show criteria and models in advance. Rubrics and multiple models showing both strong and weak work help learners judge their own performances. Offer appropriate choices. While keeping goals in mind, options judiciously offered enable students different opportunities for best demonstrating their learning. Provide feedback early and often. Learners will benefit from opportunities to act on the feedback—to refine, revise, practice, and retry. Encourage self-assessment and goal setting. McTighe (2018) offered additional assessment practices that enhance learning. Learners benefit from assessments that are "open," which means "there isn't a single correct answer or a single way of accomplishing the task." "There is an audience other than the teacher" when students "produce tangible products and/or performances to show evidence of their learning." They have "opportunities to work with others (collaboration)." The role of the teacher is that of a coach (p. 20). "Never fail a student who tries, and never give the highest grades to one who doesn't." It is the teacher's responsibility to provide an appropriate level of challenging work for all learners. "Start with the positive." When reviewing work, begin with telling students what they did right, then focus on how other elements might be improved. "See mistakes as learning opportunities, not failures." "Give students the test before you start a unit. This way, they can see what they need to learn, what the teacher's priorities are, and how to organize their learning." "Limit corrections." The point here, in Curwin's view, is to avoid overwhelming students at one time with all of their errors. Diagnostic assessments, typically given at the beginning of an instructional unit or school year, will determine students' prior knowledge, strengths, weaknesses, and skill level. They help educators to adjust curriculum or provide for remediation. According to Tomlinson and McTighe (2006) in Integrating Differentiated Instruction and Understanding by Design , they can also help "identify misconceptions, interests, or learning style preferences," and help with planning for differentiated instruction. Assessments might take the forms of "skill-checks, knowledge surveys, nongraded pre-tests, interest or learning preference checks, and checks for misconceptions" (p. 71). Thus, pretests help "to isolate the things your new students already know as well as the things you will need to teach them" (Popham, 2003, Chapter 1, Using Tests to Determine Students' Entry Status section). Further, "A pretest/post-test evaluative approach ... can contribute meaningfully to how teachers determine their own instructional impact" (Chapter 1, Using Tests to Determine the Effectiveness of Instruction section). The point of a diagnostic is not just to assess, but to do something with test results leading to improved learning. Thus, progress monitoring with individual students or an entire class makes sense. According to the National Center on Student Progress Monitoring (NCSPM), progress monitoring is "a scientifically based practice." The term is relatively new, and educators might be more familiar with Curriculum-Based Measurement and Curriculum-Based Assessment. An implementation involves determining a student’s current levels of performance and setting goals for learning that will take place over time. "The student’s academic performance is measured on a regular basis (weekly or monthly). Progress toward meeting the student’s goals is measured by comparing expected and actual rates of learning. Based on these measurements, teaching is adjusted as needed. Thus, the student’s progression of achievement is monitored and instructional techniques are adjusted to meet the individual students learning needs" (NCSPM, n.d., Common Questions section). The National Center on Intensive Intervention at American Institutes for Research has identified Tools for Academic Progress Monitoring for math, reading, and writing that demonstrate sufficient evidence for meeting progress monitoring standards. These are representative of progress monitoring products. Progress monitoring is one component of Response to Intervention (RTI), which is an education model for early identification of students at risk for learning disabilities. Of equal importance is the emphasis on providing appropriate learning experiences for all students by ensuring current levels of skill and ability are aligned with the instructional and curricular choices provided within their classroom (RTI Action Network, n.d., What is RTI? section). The RTI Action Network provides extensive information on RTI and the how to's of progress monitoring. Formative assessment is assessment for learning of current students. It "has three key elements: 1) eliciting evidence about learning to close the gap between current and desired performance; 2) providing feedback to students; and 3) involving students in the assessment and learning process" (Heritage, 2008, p. 6). Such assessments provide immediate evidence of student learning, and can be used to help improve upon quality of instruction and to monitor progress in achieving learning outcomes (Burns, Fager, Gummet, et al., n.d.). Thus, it "is an essential component of classroom work and its development can raise standards of achievement” (Black & Wiliam, 1998, Are We Serious About Standards? section, para. 2). 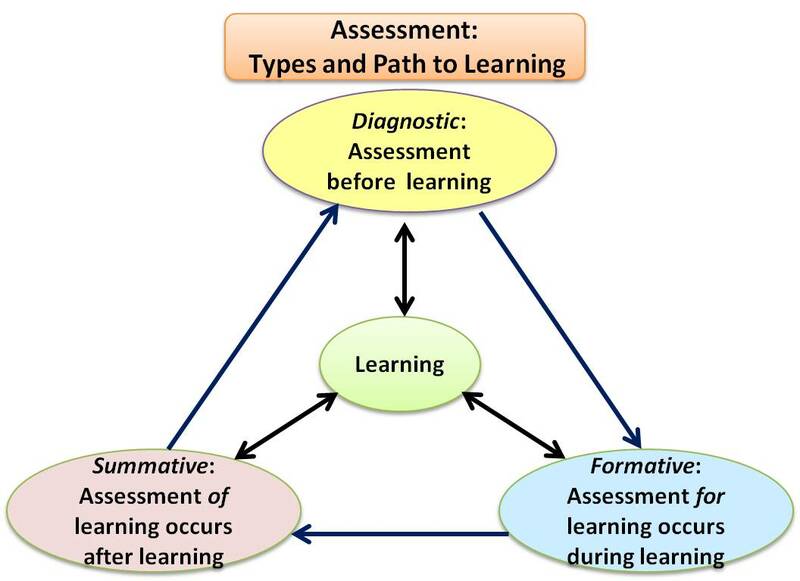 However, for teachers to design an appropriate "optimally effective" formative assessment, they should have knowledge of an associated learning progression. "A learning progression is a carefully sequenced set of building blocks that students must master en route to mastering a more distant curricular aim. These building blocks consist of subskills and bodies of enabling knowledge" (Popham, 2007a, online para. 2), which are typically constructed using backward analysis. Popham (2007a) pointed out important issues related developing learning progressions. It's comforting to know that "with few exceptions, there is no single, universally accepted and absolutely correct learning progression underlying any given high-level curricular aim." Following less-is-more advice, "learning progressions should contain only those subskills and bodies of enabling knowledge that represent the most significant building blocks." However, isolating those building blocks takes time and "requires rigorous cerebral effort." See Learning Progressions Documents for the Common Core Math Standards from the Institute for Mathematics and Education at the University of Arizona. Target key subskills and bodies of enabling knowledge (building blocks) in the learning progression. Target those concepts and skills with which students typically experience difficulty or harbor misconceptions about. Align with the content provided in related classroom and common summative assessments (e.g., PARCC, SBAC, Florida State Assessments or other state assessments). Align with the levels of cognitive rigor featured in summative assessments. Mirror the item formats included in summative assessments. Training is essential so that students do not miss test questions because they are unfamiliar with the testing formats, such as computerized drag and drop, highlighting, drawing evidence from multiple resources, constructing graphs, and so on (Westerberg, 2015). Per Moss and Brookhart (2009) in Advancing Formative Assessment in Every Classroom , when used appropriately, it is also strongly linked to increasing intrinsic student motivation to learn. Motivation to learn has four components: self-efficacy (one's belief in ability to succeed), self-regulation, self-assessment, and self-attribution (one's perceptions and explanations of success or failure that influence the amount of effort that an individual will put into an activity in the future) (Moss & Brookhart, 2009, chapter 1). "Formative assessment includes both formal and informal methods, such as ungraded quizzes, oral questioning, observations, draft work, think-alouds, student constructed concept maps, dress rehearsals, peer response groups, and portfolio reviews" (Tomlinson & McTighe, 2006, p. 71). However, per the California Department of Education (2014), "Not every form of assessment is appropriate for every student or every topic area, so a variety of assessment types need to be provided for formative assessment. Some of these could include (but is not limited to) graphic organizers, student observation, student interviews, journals and learning logs, exit ticket activities, mathematics portfolios, self and peer-evaluations, short tests and quizzes, and performance tasks" (p. 85). To illustrate, students might write their understanding of vocabulary or concepts before and after instruction, or summarize the main ideas they've taken away from a lecture, discussion, or assigned reading. They can complete a few problems or questions at the end of instruction and check answers. Teachers can interview students individually or in groups about their thinking as they solve problems, or assign brief, in-class writing assignments (Brown, 2002, Examples of Formative Assessment section). In determining if students truly understand percents in the above example, teachers are assessing if students know what a percent is, if they can use percents in a real-world application, and interpret their answers appropriately. T: Our unequal relationship (pp. 72-73). Homework is one method for students to take responsibility for their learning. It also falls into the category of formative assessment, as it "typically supports learning in one of four ways: pre-learning, checking for understanding, practice, and processing" (Vatterott, 2009, p. 96). However, educators have varying opinions on homework ranging from how much to assign to what kind (e.g., acquisition or reinforcement of facts, principles, concepts, attitudes, or skills), for whom, when to assign it, and whether or not it should be graded. Teachers cling to grading homework for a variety of reasons. Vatterott (2011) noted teachers fear that if they do not grade homework, students will not do it; they believe students' hard work should be rewarded, and homework grades help students who test poorly (p. 61). The issue is that homework should still be assessed because students need feedback on their learning; but if homework is assigned for learning purposes, then teachers need to rethink when homework should be counted as part of a grade. Per Vatterott (2011), homework should be separated into two categories: formative and summative. Homework that is formative should not be factored into the overall course grade. Practice with math problems would fall into the formative category. Homework assignments as summative assessments, such as research papers or portfolios of student work, may be considered. If teachers wish to tie homework to assessments, the easiest way "in students' minds is to allow them to use homework assignments and notes when taking a test. Another method is to correlate the amount of homework completed with test scores" perhaps by placing two numbers on a test paper--the test score itself and "the student's number of missing homework assignments" (p. 63). If teachers allow retakes for failing summative assessments, they might also require learners who "don't complete a set of homework assignments and then fail the related summative assessment" to "go back and complete all the formative tasks before they can retake the assessment" (p. 64). Vatterott (2018) provided the following somewhat different homework guidelines. When assigning homework, teachers should consider the importance of personal and family time, individual differences, and the need to inform parents and students of what to do if they encounter challenges in completing homework. Grades K-3: occasional homework of 5-10 minutes per week; formal assigned homework is not recommended, but at grade 3, a limited amount of formal assigned homework may be introduced to reflect students' increased maturity and independence. Grades 4-6: maximum of 30 minutes per school night. Grades 7-9: maximum of 60 minutes per school night. In terms of building self-esteem in pupils, “feedback to any pupil should be about the particular qualities of his or her work, with advice on what he or she can do to improve, and should avoid comparisons with other pupils” (para. 3). Self-assessment by pupils is an essential component in formative assessment, which involves three components: students must recognize the desired goal, have evidence about their present position, and some understanding of a way to close the gap between the two. “[I]f formative assessment is to be productive, pupils should be trained in self-assessment so that they can understand the main purposes of their learning and thereby grasp what they need to do to achieve” (para. 7). “[O]pportunities for pupils to express their understanding should be designed into any piece of teaching, for this will initiate the interaction through which formative assessment aids learning” (para. 9). “[T]he dialogue between pupils and a teacher should be thoughtful, reflective, focused to evoke and explore understanding, and conducted so that all pupils have an opportunity to think and to express their ideas” (para. 13). "[F]eedback on tests, seatwork, and homework should give each pupil guidance on how to improve, and each pupil must be given help and an opportunity to work on the improvement” (para. 15). 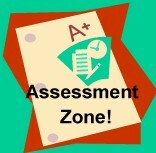 Stephen Chappuis and Jan Chappuis (2007/2008) said that a key point on the nature of formative assessment is that "there is no final mark on the paper and no summative grade in the gradebook" (p. 17). The intent of this type of assessment for learning is for students to know where they are going in terms of learning targets they are responsible for mastering, where they are now, and how they can close any gap. "It functions as a global positioning system, offering descriptive information about the work, product, or performance relative to the intended learning goals" (p. 17). Such descriptive feedback identifies specific strengths, then areas where improvement is needed, and suggests specific corrective actions to take. For example, in a study of graphing, an appropriate descriptive feedback statement might be "You have interpreted the bars on this graph correctly, but you need to make sure the marks on the x and y axes are placed at equal intervals" (p. 17). Notice that the statement does not overwhelm the student with more than he/she can act on at one time. Thomas Guskey (2007) pointed out that formative assessments will not necessarily lead to improved student learning or teacher quality without appropriate follow-up corrective activities after the assessments. These activities have three essential characteristics. They present concepts differently, engage students differently in learning, and provide students with successful learning experiences. For example, if a concept was originally taught using a deductive approach, a corrective activity might employ an inductive approach. An initial group activity might be replaced by an individual activity, or vice versa. Corrective activities can be done with the teacher, with a student's friend, or by the student working alone. As learning styles vary, providing several types of such activities to give students some choice will reinforce learning (pp. 29-30). Guskey (2007) suggested several possible corrective activities, which are included in the following table. He recommended these be done during class time to ensure those who need them the most will take part. Source: Adapted from Guskey, T. (2007). The rest of the story. Educational Leadership, 65(4), 31. *The IRIS Center at Vanderbilt University provides commentary on the use of peer tutoring and a video illustrating two students engaged in peer tutoring. According to Guskey (2007), some students will demonstrate mastery of concepts on an initial formative assessment. These students are ideal candidates for enrichment activities while others are engaged in corrective activities. "Rather than being narrowly restricted to the content of specific instructional units, enrichment activities should be broadly construed to cover a wide range of related topics" (p. 32). As with corrective activities, students should have some freedom to choose an activity that interests them. Teachers might consider having students produce a product of some kind summarizing their work. This enhances the experience so that students don't construe the time spent as busy work. Unlike formative assessment, which is assessment for learning, "[s]ummative assessment is the assessment of learning at a particular time point and is meant to summarize a learner's skills and knowledge at a given point of time. Summative assessments frequently come in the form of chapter or unit tests, weekly quizzes, end-of term tests, or diagnostic tests" (California Department of Education, 2014, p. 85). According to Burns and colleagues (n.d.), these assessments provide for accountability. Traditional assessments might include multiple choice, true/false, and matching. Alternative assessments take the form of short answer questions, essays, electronic or paper-based portfolios, journal writing, oral presentations, demonstrations, creation of a product, student self-assessment and reflections, and performance tasks that are assessed by predetermined criteria noted within rubrics. Self and peer assessments can be both formative and summative in nature, and help students to take responsibility for and to become critical of their own work. call for the application of knowledge and skills, not just recall or recognition. are open-ended and typically do not yield a single, correct answer. establish novel and authentic contexts for performance. ... students need to consider goals, audience, obstacles, and options to achieve a successful product or performance. provide evidence of understanding via transfer. are multi-faceted. ...They involve multiple steps and thus can be used to assess several standards or outcomes. can integrate two or more subjects as well as 21st century skills. ...One natural way of integrating subjects is to include a reading, research, and/or communication component (e.g., writing, graphics, oral or technology presentation) to tasks in content areas. In Assessing the Core, a webinar hosted by the School Improvement Network, McTighe (2014) presented a Framework of Assessment Approaches and Methods (slides handout, p. 4), which highlights potential forms of performance assessments in the following table. How might we assess student learning in the classroom? representation(s): e.g., fill in a flowchart or matrix concept map enactment "think aloud"
*McTighe's example was a science project. Consider a math project in the math classroom. For learners to do well on assessments involving performance tasks, Marzano and Toth (2014) indicated that teachers need to have a shift in their instructional practice to help learners engage in cognitively complex tasks. Unfortunately at present, among the 18 instructional strategies they observed teachers using, the frequency of those related to engaging students in cognitively complex tasks involving hypothesis generation and testing, revising knowledge, and organizing students for cognitively complex tasks was just 3.2%. Much instruction is still teacher centered, as the highest frequency (47%) of strategies used was associated with lecture, practice, and review (Marzano & Toth, 2014, p. 14). Does it require learners to work collaboratively and use their experiences as a starting point? Are learners allowed to learn from their mistakes? Does the activity have value beyond the learning setting? Does the activity build skills that can be used beyond the life of the course? Do learners have a way to implement their outcomes in a meaningful way? (p. 86). The School of Education at the University of Wisconsin-Stout has an extensive collection of authentic assessment resources and rubrics. Educators will find a growing collection of performance assessments within the Performance Assessment Resource Bank, a project of the Understanding Language and Stanford Center for Assessment, Learning, and Equity and the Stanford Center for Opportunity Policy in Education in collaboration with the Council of Chief State School Officers Innovation Lab Network (About section). Free K-12 performance tasks are available for math, English/language arts, science, and history/social studies. Filter by type of task, subject, course, grade level. Consider having students use an e-portfolio for documenting their progress toward mastering state standards and to show off their best work. George Lorenzo and John Ittelson (2005) defined an e-portfolio as "a digitized collection of artifacts, including demonstrations, resources, and accomplishments that represent an individual, group, community, organization, or institution. The collection can be comprised of text-based, graphic, or multimedia elements archived on a Web site or on other electronic media" (p. 2). Lent (2012) also describes a portfolio as "a collection of items that is assembled by students or their teachers to show a range of work in a subject." It can be used for both formative and summative assessments. For a structured portfolio, educators might provide activities and assignments to include. Learners would then create a table of contents (p. 134). In Digital-Age Assessment, Harry Tuttle (2007) recommended using e-portfolios as a method to look beyond traditional assessment. "A common e-portfolio format includes a title page; a standards' grid; a space for each individual standard with accompanying artifacts and information on how each artifact addresses the standard; an area for the student's overall reflection on the standard; and a teacher formative feedback section for each standard. Within the e-portfolio, the evidence of student learning may be in diverse formats such as Web pages, e-movies, visuals, audio recordings, and text" (Getting Started section). Digital Portfolios by Mike Fisher includes numerous resources for implementing portfolios: articles/research, tools, examples, and reflections, and more. It's well-worth an investigation. HOT: Using Technology to Support Alternative Assessment and Electronic Portfolios is a collection of online videos on e-portfolios, online articles and conference presentations on electronic portfolios by Dr. Helen Barrett. Consult Dr. Barrett's tips for Creating ePortfolios with Web 2.0 Tools. She also has extensive resources at her site http://electronicportfolios.org/ and a valuable resource on how to use ePortfolios with Google Apps. Digication is e-portfolio software for students and teachers. There's also a package for schools and districts. eduClipper "allows you to create and manage your classes, create differentiated learning groups, provide students with assignments, provide dynamic feedback. and create incredible learning portfolios to highlight your best work in and out of the classroom." FreshGrade digital portfolio and assessment platform allows teachers to provide feedback and track student progress by using a variety of custom assessment tools. Students can include photos, videos, audio files, documents, links, and comments (including self-reflections) on their work. Parents can access portfolios and also comment on their child's work and communicate with teachers. Google Drive can be used, as 15 GB of free space is available for photos, documents, and so on. Livebinders, the online "3-ring binder" provides free space for ePortfolios and organizing and sharing your multimedia resources. Binders can be private or public. There are paid upgrade options. Seesaw was listed among best e-portfolio programs in T.H.E. Journal's Readers Choice Awards 2016, 2018. "Students can “show what they know” using photos, videos, drawings, text, PDFs, and links. You can also import directly from most popular apps" (Features section). VoiceThread has made its premium account available to K-12 educators for free. “A VoiceThread is an online media album that can hold essentially any type of media (images, documents and videos).” The beauty lies in the commentaries that people can add to the media using a mix of voice with a microphone or telephone, text, audio file, or video with a webcam, making this a great tool for collaboration and feedback. Caution: e-Portfolios require a degree of computer literacy to create them. Some learners might prefer a paper-based portfolio to showcase their work. Learning how to self-assess is an incremental process that can begin with the elementary grades. "During self-assessment, students reflect on the quality of their work, judge the degree to which it reflects explicitly stated goals or criteria, and revise. Self-assessment is formative...Self-evaluation, in contrast, is summative--it involves students giving themselves a grade" (Andrade, 2007, p. 60). For self-assessment to be meaningful to students, they must prove to themselves that it can make a difference in their learning. In a differentiated classroom, self-assessment "also enables student and teacher to focus both on nonnegotiable goals for the class and personal or individual goals that are important for the development of each learner" (Tomlinson & McTighe, 2006, p. 80). Alison Preece (1995) provided eight tips for success. Teachers might point out that payoff, start small and keep things simple, build self-[assessment] into day-to-day activities, make it useful, clarify criteria, focus on strengths, encourage variety and integrate self-[assessment] strategies with peer and teacher [assessment], and grant it a high profile (p. 30). As an example of building self-assessment into day-to-day activities, John Bond (2013) noted three easy-to-implement reflective strategies. Students might complete "I learned" statements. They could also use a think aloud in which they reflect and share what they learned on what had just been taught with a partner. They might complete "Clear and Unclear Windows." In this latter, students divide a sheet of paper into two columns headed by clear and unclear. Then they fill in those columns, respectively, with what they understood about a lesson and did not understand (Bond, 2013). To ease students into the process of evaluation, Preece (1995) also noted that students might evaluate the materials they use and activities in which they are involved. Teachers might ask for suggestions for improvement of lessons they have presented, peers might comment on work of others by acknowledging what was good and providing a suggestion for a change or addition. Eventually students would "try a variety of strategies such as learning logs, conference records, response journals, self-report sheets, attitude surveys, and portfolio annotations" (p. 33). Teachers might encourage them to come up with questions on "attitudes, strategies, stumbling blocks, and indicators of progress or achievement" (p. 35). Students might write one or two statements of meaningful goals for themselves with some strategies for achieving them. The key for success on this latter is follow-up to monitor progress toward those goals with negotiated check-in times for discussion, including possible refinement or replacement. To help students develop their personal accountability for learning, Preece (1995) suggested that teachers might require students to keep a record book with books/content read, completed assignments, projects, personal goals, accomplishments and what is working well, challenges to learning, and difficulties encountered. This serves as a basis for conferences, either with the teacher or with parents. In either case, students use this tool and lead those conferences to report their progress on learning. Rubrics are not just for evaluation (i.e., assigning a grade) of student work. They are excellent tools to use for self- and peer-assessment, orienting students to what constitutes quality from the viewpoint of experts and serving as guides for revision and improvement. They are particularly valuable when students have input into their construction. When they use them to monitor their progress on an assignment, they might underline key phrases in the rubric, perhaps with a colored pencil, and then use that same color to underline or circle those parts in their draft work that meet the standard identified in the rubric. If they can't find where in their work that they have met the standard, they will immediately know that revision is needed (Andrade, 2007). The key to success when using rubrics is to build time for revision into the learning plan. The design of the rubric is also crucial. Rubrics add the objective component to assessment and evaluation. Caution should be exercised on their use in evaluation. If a typical rubric has five to seven categories, some criteria of value (e.g., originality) to a grader might not be among those. The unique perspective of students and their creativity might be thwarted in self-assessing their own work using only the standards on the rubric. Maja Wilson (2007) pointed out the importance of dialogue as an assessment tool. Where "ideas, expertise, intent and audience matter...a conversation is the only process responsive enough to expose the human mind's complex interactions with language" (p. 80). Dialogue is just as important as using the rubric in assessment, and may lead to changes in the rubric itself as teachers collaborate with their students. According to Popham (2003), the purposes of classroom tests vary, but prior to constructing any test, teachers should first identify the kinds of instructional decisions that will be made based on test results, and the kinds of score-based inferences needed to support those decisions. Teachers would be most interested in the content validity of their tests and how well their test items represent the curriculum to be assessed, which is essential to make accurate inferences on students' cognitive or affective status. "There should be no obvious content gaps, and the number and weighting of items on a test should be representative of the importance of the content standards being measured" (Chapter 5, All About Inferences section). Test items can be classified as selected-response (e.g., multiple choice or true-false) or constructed-response (e.g., essay or short-answer). To better foster validity, Salend (2011) recommended matching the testing items to how content was taught. "Essay questions are usually best for assessing content taught through role-plays, simulations, cooperative learning, and problem solving; objective test items (such as multiple choice) tend to be more appropriate for assessing factual knowledge taught through teacher-directed activities" (p. 54). When constructing either type, Popham (2003) offered five pitfalls to avoid, all of which interfere with making accurate inferences of students' status. They are "(1) unclear directions, (2) ambiguous statements, (3) unintentional clues, (4) complex phrasing, and (5) difficult vocabulary (Chapter 5, Roadblocks to Good Item-Writing section). Students would benefit by knowing the differential weighting of questions and time limits in the directions. Ambiguity would be lessened with clearly referenced pronouns when used, and phrases that have singular meanings. Items should be written without obvious clues as to the correct answer. Examples of unintentional clues include the correct answer-option written longer than the incorrect answer-options or grammatical tip-offs (e.g., never, always). Illustrating Popham's (2003) pitfalls to avoid, Fisher and Frey (2007) provided an example showing the difficulty in writing test stems for multiple choice items. A student looks at a right triangle with legs marked as 5 cm each. The intention is for the student to find the length of the missing hypotenuse, as shown. Consider the following stems: "Find X." and "Calculate the hypotenuse (X) of the right triangle." A middle school student who is at the beginning stages of learning English might circle the X. He has found it! However, it is the latter choice that was intended, and is, therefore, the better unambiguous stem for the question (p. 107). Fisher and Frey's (2007) example illustrated the importance of creating tests that are accessible to all learners. Salend (2011) noted four elements to consider: directions, format, readability and legibility, elaborations of which follow. Directions should be concise avoiding irrelevant information, include the precision that students should present in their answers, and provide point totals for items included, and sections. They often feature numerals for sequenced information, bullet points for information that does not have a specific order, direction reminders throughout the test, and symbols to prompt students to pay attention to directions. Directions enclosed within text boxes call attention to them and enhance the format of the test. The format also features test items in a numbered sequence, a reasonable number of test items on a page, similar question types grouped together, and adequate space for answering each question on the test itself rather than on a separate scoring sheet, numbered test pages. For improved readability, test questions only contain necessary words for minimal sentence length; the words chosen are consistent with those used in class. Rather than using pronouns, questions refer directly to important ideas or facts needed to answer them. For improved legibility, Salend recommended using familiar fonts (e.g., Times New Roman or Arial) and type size 12 to 14 points for most test takers, and at least 18-point type for visually-impaired learners or beginning readers. Avoid text in all capital letters; avoid underlining text; use left-justified text and line length of about four inches; only use highlighting features (e.g., boldface or italics) for calling attention to certain words in a sentence (Salend, 2011, pp. 54-55). Popham (2009) indicated that teachers also need to know how to identify and eliminate bias in tests they create, as assessment bias "offends or unfairly penalizes test-takers because of personal characteristics such as race, gender, or socioeconomic status" (p. 9). They "need to know how to create and use rubrics, that is, scoring guides, so students’ performances on constructed-response items can be accurately appraised" and how to develop and possibly score a variety of assessment strategies, such as "performance assessments, portfolio assessments, exhibitions, peer assessments, and self assessments" (p. 9). The Center on Standards and Assessment Implementation collaborated with the Reform Support Network to make available an Assessment Design Toolkit to help preK-12 educators write or select well-designed assessments, such that they will "stand a great chance of having an appropriate level of reliability and validity for use in your classroom" (Part II description). The toolkit contains 13 modules divided into four parts: key concepts, the five elements of assessment design (alignment, rigor, precision, bias and scoring), writing and selecting assessments, and reflecting on assessment design. Videos and supplementary materials are included. Does the test measure a manageable number of instructionally meaningful curricular aims? Do the descriptive materials accompanying the test clearly communicate the test's assessment targets? Are there sufficient items on the test that measure each assessed curricular aim to let teachers and students know whether a student has mastered each skill or body of knowledge? Are the items on the test more likely to assess what a student has been taught in school rather than what that student might have learned elsewhere? (p. 82). Whether or not a test is teacher-made or vendor-made, the Test Accessibility and Modification Inventory is a valuable evaluation tool for facilitating a comprehensive analysis of tests and test items, including analysis of computer-based tests. It was written by Peter Beddow, Ryan Kettler, and Stephen Elliott (2010) of Vanderbilt University. Analysis considers the passage/item stimulus, the item stem, visuals, answer choices, page/item layout, fairness, and depth of knowledge required to answer a question. Computer-based test analysis also considers the test delivery system, test layout, test-taker training, and audio. This latter is of particular importance as computer-based assessments are being used for the Common Core State Standards in Mathematics. As vendors are creating tests for online delivery, it is important to note that the types of assessment questions being developed have moved beyond traditional multiple choice, true-false, and fill-in the blank. Per the U.S. Department of Education (2016), technology-based assessments enable expanded question types. Examples include graphic responses in which students might draw, move, arrange, or select graphic regions; hot text within passages where students select or rearrange sentences or phrases; math questions in which students respond by entering an equation; and performance-based assessments in which students perform a series of complex tasks. A math task might ask students to analyze a graph of actual data and determine the linear relationship between quantities, thus testing their cognitive thinking skills and ability to apply their knowledge to solving real-world problems (p. 55). What is the role of "redos" for learning? Learners should explain in writing why they want a redo and submit their prior attempt along with their request. For math, a redo might include giving different, more challenging problems. As a learner makes improvements, consider a brief conference to offer feedback, rather than reading each step of the redo. If appropriate, consider peer or self-assessment of the redo until the learner is ready to resubmit the work for a grade. When they submit their redo, they should highlight the revisions and answer the question, "How does this revised assessment show evidence of increased learning?" Then you only need to look at the revisions when reevaluating the work, rather than reading the entire assessment again. Learners should not expect you to immediately regrade their work. Lent suggested to "tell them that you will reassess when you get to it" and any changes in reporting grades will be done "at your convenience," particularly in cases of multiple grade changes. "It is your prerogative to put students who abuse the redo privilege on probation." The bottom line, according to Lent (2012), is that "It is time to move from an unrealistic system where students have only one chance to get it right to a system where they understand that redos are not only OK but expected" (p. 141). Dylan Wiliam (2011) provided over 50 formative assessment techniques for classroom use in Embedded Formative Assessment - practical strategies and tools for K-12 teachers. Page Keeley and Cheryl Rose Tobey's (2011) Mathematics Formative Assessment: 75 Practical Strategies for Linking Assessment, Instruction, and Learning is noteworthy. Robert Marzano (2010) delved into Formative Assessment and Standards-Based Grading for mastery learning. Assessment for Learning Project is a "grant program and field-building initiative" of the Center for Innovation in Education, Next Generation Learning Challenges at Educause and design partner 2Revolutions. Its goal is to invite educators to rethink the role of assessment in advancing student learning and improving K-12 education. Learn more about performance assessment, formative assessment, capstone projects, portfolios, and exhibitions of learning, and community engaged success definitions. Andrade, H. (2007). Self-assessment through rubrics. Educational Leadership, 65(4), 60-63. Black, P., & Wiliam, D. (1998, October). Inside the black box: Raising standards through classroom assessment [Online]. Phi Delta Kappan, 80(2), 139-144, 146-148. [Note: also see the article at http://weaeducation.typepad.co.uk/files/blackbox-1.pdf]. Chappuis, S., & Chappuis, J. (2007/2008, December/January). The best value in formative assessment. Educational Leadership, 65(4), 14-18. Conrad, R., & Donaldson, J. (2004). Engaging the online learner: Activities and resources for creative instruction. San Francisco: Jossey-Bass. Curwin, R. L. (2014). Can assessments motivate? Educational Leadership, 72(1), 38-40. Davies, A. (2004). Transforming learning and teaching through quality classroom assessment: What does the research say? National Council of Teachers of English. School Talk, 10(1), 2-3. Fisher, D., & Frey, N. (2014). Checking for understanding: Formative assessment techniques for your classroom, 2nd edition. Alexandria, VA: ASCD. Guskey, T. (2007). The rest of the story. Educational Leadership, 65(4), 28-35. McTighe, J. (2018). 3 key questions on measuring learning. Educational Leadership, 75(5), 14-20. McTighe, J., & O'Connor, K. (2006, Summer). Seven practices for effective learning. Educational Leadership, 63(10), 13-19. Popham, W. J. (2007b). Who should make the test? Educational Leadership, 65(1), 80-82. Popham, W. J. (2011, Spring). Exposing the imbalance in 'balanced assessment'. Baltimore, MD: John Hopkins University, Better: Evidenced-based Education, 14-15. Preece, A. (1995). Self-evaluation: Making it matter. In A. Costa, & B. Kallick, Assessment in the Learning Organization (pp. 30-48). Alexandria, VA: ASCD. Salend, S. (2011). Creating student-friendly tests. Educational Leadership, 69(3), 52-58. Tomlinson, C. (2014). The bridge between today's lesson and tomorrow's. Educational Leadership, 71(6), 11-14. Vatterott, C. (2018). Rethinking homework: Best practices that support diverse needs (2nd ed.). Alexandria, VA: ASCD. Wilson, M. (2007). The view form somewhere. Educational Leadership, 65(4), 76-80.